This ICNC Academic Webinar was presented on Thursday, Sept. 24, 2015 by Tenzin Dorjee, Activist and Writer, and former executive director of Students for a Free Tibet. 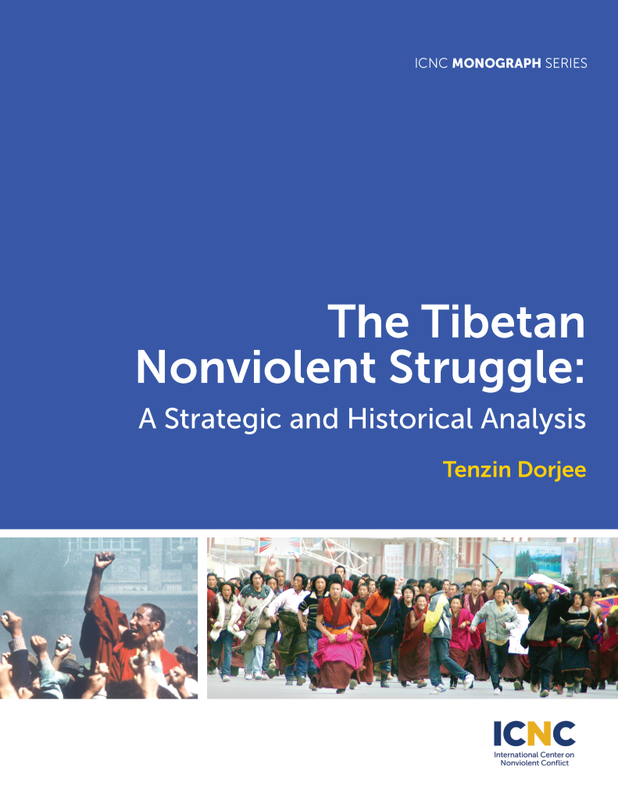 This webinar will take parts of Tendor Dorjee’s ICNC Monograph and use that to analyze the strategy and history of the civic struggle in Tibet over the last six decades. Contrary to a perception, fueled by Chinese propaganda during the 2008 Tibetan uprising, that the Tibetan struggle is heading toward extremism, this webinar will show that since the 1950s, the movement has moved toward a tighter embrace of nonviolent resistance. The webinar will examine this evolution, analyzing central themes, purposes, challenges, strategies, tactics and impacts of three major Tibetan uprisings over the last six decades. Tibetans are now waging a quiet, slow-building nonviolent movement, centered on strengthening the Tibetan national and cultural fabric via what Dorjee calls “transformative resistance.” This is happening in an immensely repressive political environment, which shows that there is a way to mobilize people power against even one of the most ruthless regimes in the world. Participant’s question: Can you say more about Lhakar’s effectiveness? I am asking because the documentary “Tibet in Song” shows how Beijing cracks down on any assertion of Tibetan identity. Also, has the protest against mining been replicated elsewhere, and with the same success? Tenzin Dorjee: Lhakar has been one of the most effective homegrown campaigns we’ve seen in Tibet. It’s true that China clamps down on almost every assertion of Tibetan identity, as you saw in the film “Tibet in Song,” but there are still small pockets of space for action that one can find within China’s repressive system. When Tibetans assert their identity in simple and personal ways, such as eating Tibetan cuisine, writing in Tibetan script, or refusing to speak Chinese at home, it is hard for Chinese authorities to punish these acts even if they would like to. Regarding the question about mining, there have been some successful campaigns in other places. Recently, Tibetans in Dzatoe and Kyegudo have waged anti-mining campaigns with some measurable success so far. But it is hard to tell whether these two campaigns were directly inspired by the success of Markham. Participant’s question: You’ve mentioned a common vision, which we know is critical for success of a nonviolent movement. Can you talk a little bit more about where this stands for the Tibet movement, how it’s being developed with all the challenges of repression and diaspora and dispersion of activists, and next steps? Tenzin Dorjee: In recent years, articulation of a common vision for Tibet has become increasingly tough. The Tibetan government in exile pursues autonomy for Tibet as its goal while many Tibetans outside the establishment advocate independence, the former advocates a highly conciliatory diplomatic approach while the latter wants to push for a more confrontational grassroots approach. But this doesn’t mean that a common vision cannot be developed. One area of commonality is the fact that both camps emphasize the use of nonviolent methods and the rejection of violence, and this commonality can be turned into a foundation for united action. It is hard to dismiss the debate between independence advocates and autonomy advocates as unimportant, because the debate is absolutely necessary and also a result of both camps caring deeply about the cause. Nevertheless, we could say, let’s continue the debate in a more civil and less hostile fashion, but let’s also start working together on more immediate and achievable campaigns around, say, environmental issues, political prisoners’ release, anti-mining mobilization, etc. Focusing on these concrete campaigns rather than remaining trapped in a never-ending ideological tug-of-war will make the Tibet movement more united as a force, and therefore more of a challenge to China. Participant’s question: How has the Chinese government’s responses to these protests changed from the 1959, 1989 to 2008 protests? Tenzin Dorjee: The Chinese government’s response to Tibetan protests has been consistently ruthless and brutal. But after each successive uprising and crackdown, the Chinese authorities’ methods of repression become more sophisticated. Especially in 2008, the Chinese government made strategic use of its media and information monopoly over Tibet, especially CCTV footage captured on surveillance cameras. For days and weeks, it circulated to domestic and international media images of Tibetans rioting in the streets of Lhasa, while censoring all images of the mass violence used by Chinese authorities on Tibetan protesters. They also immediately expelled all foreigners from Tibet in an attempt to prevent any reporting other than its own. In the 1987-88 uprising, many foreigners documented and broadcast Chinese brutalities against Tibetans, causing China a huge loss of face. In 2008, China wanted to make sure foreigners didn’t get the opportunity to do that, and proceeded to lock off the entire region from foreigners and reporters. So it is clear that Chinese government response to the Tibetan protests are getting more sophisticated. Participant’s question: In Egypt and other recent nonviolent movements, technology has played a huge part. How is the Tibet movement embracing technology as a tool in this nonviolent movement? Tenzin Dorjee: Technology has played an unexpectedly important role in the Tibet movement. In the past, Tibetan elders used to worry that the advent of technology, and all the flash and seduction it comes with, would distract the youth from our traditional heritage and undermine the movement to protect Tibet’s cultural as well as political identity. However, once Tibetans began to overcome their fear of technology and put it to service, we quickly realized that it could serve multiple purposes. In the ‘90s, radio stations such as VOA, RFA and Voice of Tibet, which were the only alternative sources of information in Tibet, became a lifeline between Tibetans in Tibet and those in exile. In the last ten years, thanks to advancing digital and information technologies, news and information from Tibet travel to the outside world much faster. Until a few years ago, it used to take up to a month for exiled Tibetans to learn about the arrest of someone in Tibet, but now real-time communication over tools such as email, Skype, QQ, and Wechat allows exiles to get such news within hours, even minutes. All this is changing the landscape of the political movement, opening up new possibilities for organizing and mobilization. Participant’s question: How could Tibetans reach out to other groups in China, such as Uyghurs or Chinese workers, farmers and Chinese intellectuals to create a diverse and multi-ethnic coalition for greater political rights? Is this possible, and how? Tenzin Dorjee: I think it is possible, but it won’t be easy. There are many barriers between Tibetans and Chinese that prevent them from working together even when there are common grievances. Many of these barriers are cultural and have existed for centuries, while other barriers are political and created by the government. However, in the meantime, Tibetans might find it easier to reach out to non-Chinese groups such as Mongolians and Uyghurs, who are undergoing many of the same existential problems as Tibetans. For example, both Tibetans and Mongolians have a huge nomadic population who are being driven to the edge by the Chinese government’s ethnocidal policies. Although difficult, it might not be entirely impossible for Tibetans and Mongolians to start a joint movement against policies such as relocation of nomads from their ancestral grasslands. Tenzin Dorjee is an activist and writer, and the former executive director of Students for a Free Tibet, a global network of students and activists dedicated to advancing Tibetan freedom and human rights. His writings have been published in various forums, including the Huffington Post, Global Post, Courrier International, Tibetan Review, Tibet Times and the CNN Blog. He is a regular commentator on Tibet-related issues on Radio Free Asia, Voice of America and Voice of Tibet. Born and raised in India, he is a graduate of the Tibetan Children’s Village and Brown University. He worked at the National Endowment for Democracy in Washington, D.C., before moving to New York to work at Students for a Free Tibet. He is pursuing a Master’s degree in political science at Columbia University. 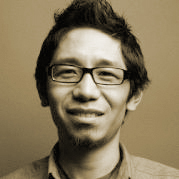 Dorjee is a recipient of the 2014 ICNC Research Monograph Award.